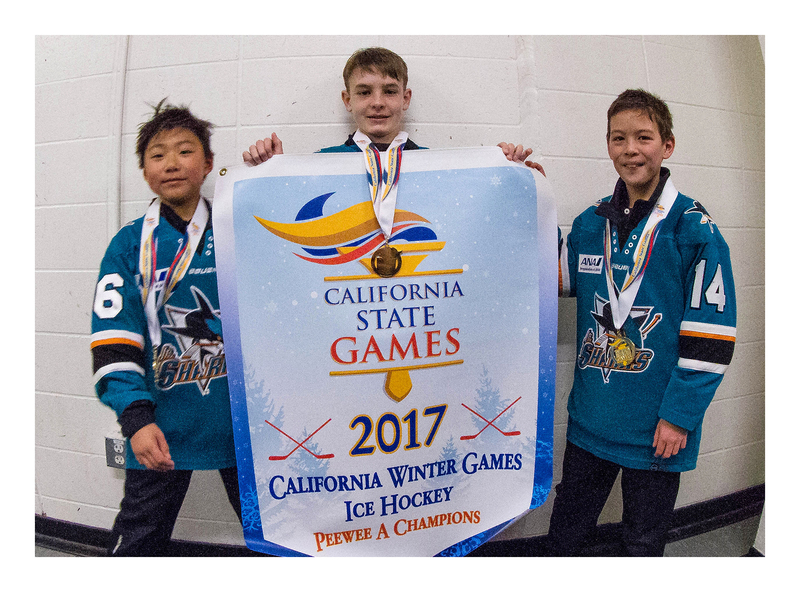 Over Presidents Day weekend, three Harker middle schoolers competed at the California State Games hockey tournament in Escondido, where they won the 12U PeeWee A championship in dramatic fashion. Playing for the San Jose Jr. Sharks, Robert Zhang, grade 6, Carter Chadwick, grade 7, and Rupert Chen, grade 6, went 3-1 in the tournament, taking the final two must-win games, including the 4-2 victory against the undefeated LA Jr. Kings in the championship. Congratulations!